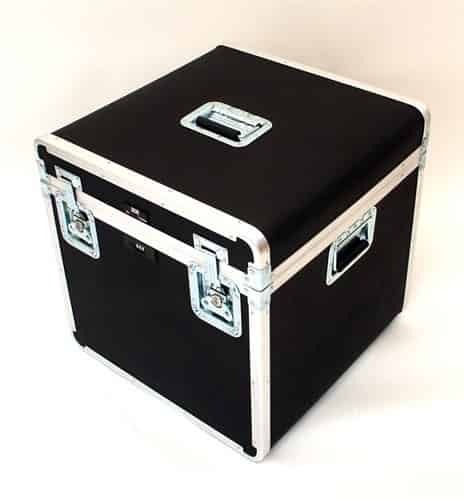 Heavy-duty black HMW polyethylene material with unique continuous industrial frame based on Platt's patented Guardsman™ design and construction. 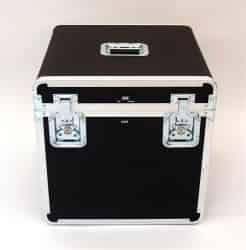 All hardware is recessed for wearability and shipping purposes. 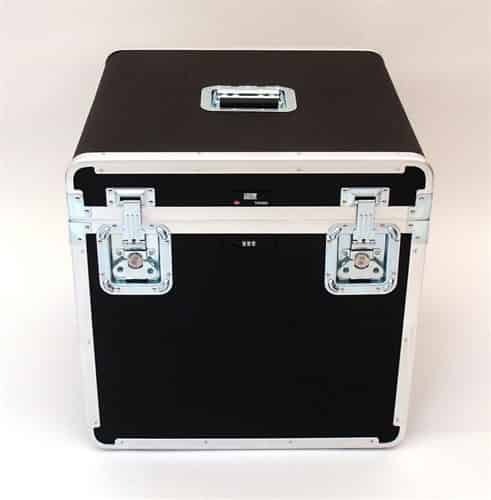 Cases come with built-in TSA accepted combination lock, spring loaded handle, full-length piano hinge and security type bolts. 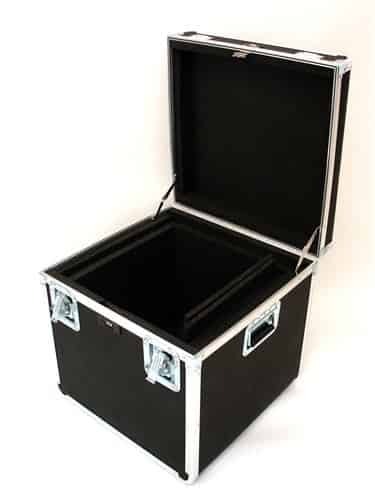 All top and body interiors of cases are lined with high density foam. Available in 6 colors. 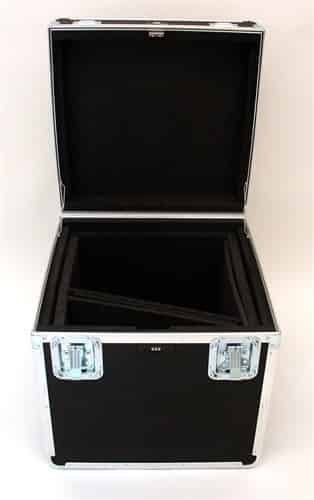 Case will hold a 19in x 19in x 19in monitor or smaller.